Combine your passion with our sales and marketing systems to achieve the lifestyle you deserve! It’s rewarding. It’s social. It’s fun. PlanNet Marketing Mission Statement: True to our Mission Plan, PlanNet Marketing provides people with the freedom, flexibility and opportunity to build financial independence now and for the future. The home-based business owner can design their business to work with their own or their family’s needs and lifestyle, not the other way around! You are in control – you are your own boss. You achieve your goals at your own pace and reap the benefits and rewards of being a part of the $7 trillion worldwide travel industry. You are backed by PlanNet Marketing’s exceptional experience, support, and training. PlanNet Marketing has partnered with InteleTravel, the original at-home travel agency, recognized by every major travel supplier, including the best of the best resorts and hotel brands, cruise lines, vacation companies, car rental agencies and tour operators all over the world! As a PlanNet Marketing Rep, you will offer the InteleTravel home-based travel agent business opportunity to anyone who wants to turn a passion for travel into a flexible source of income and reward. PlanNet Marketing offers two business opportunities, including an amazing and rewarding compensation plan for its Reps. Whether it’s a new hobby or a full-time business, InteleTravel offers the very best opportunity to enter the travel industry, and the best, easiest and most reputable home based business anywhere. 1) The PlanNet Marketing Rep who sells the InteleTravel home-based Independent Travel Agency (“ITA”) business and earns a direct sales commission. 2) The PlanNet Marketing Rep who, in addition to selling the ITA business opportunity, also chooses to build a PlanNet Rep organization and earn override commissions on Reps in their organization who do the same. 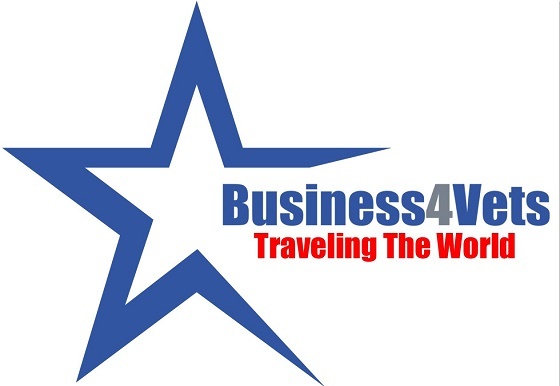 The travel industry is an exciting and profitable place to be! The Agent and their travel customers can book travel through the Agent’s very own personalized travel website, plus direct access to the travel industry’s top brands, and support systems and tools perfected over more than two decades. The Agent will not only earn commission on travel bookings, they can also travel to amazing destinations themselves, with guaranteed best prices and VIP travel benefits. InteleTravel offers a Money Back Guarantee, Risk-Free Profit Guarantee, and Best Travel Price Guarantee! InteleTravel also has the travel industry credibility and a 25-year track record, and can guarantee success for Travel Agents. As a PlanNet Marketing Rep, you can be confident that you are offering to others the best independent travel business in the industry. Discover the travel secret millions of InteleTravel customers and Travel Agents, in all 50 States and 40 other countries. InteleTravel gives you the opportunity to be your own boss and benefit from your love of travel by earning extra money! Become an independent travel agent with InteleTravel and you’ll make a profit – guaranteed. When you become an InteleTravel agent, you can sell travel to anyone, including yourself. Book cruises, vacations, hotels, all-inclusive resorts, tours, airline tickets, car rentals and more. You’ll earn a commission based on the travel you sell.You will have access to innovative easy tools, valuable resources and unlimited support! Travel Agents can easily earn back the business cost in the first year…in fact we guarantee it! No long-term contracts – cancel at any time. InteleTravel works like all other travel search sites, but with access to exclusive offers, competitive rates, insider travel knowledge, destination events, full service toll-free support, which includes selling tools, weekly webinars, podcasts, live events and so much more. more – and most importantly, pays you a commission! As an Independent Travel Agent, you can offer exclusive travel deals and most competitive pricing with all travel brands and all destinations – Guaranteed! Friends, family and customers won’t pay more (and might pay less)…and you earn commissions! No matter where a trip is booked there is a commission built into the price. Just send customers to your website. Customer books travel. InteleTravel pays YOU the commission! Our first FREE gift to you is just a sampling of our “A” Team of world class coaches who are dedicated to the Business4Vets.org mission to support our military families. Join Us Today & Invite Others to Join Us Too! We respect your privacy! We will not share your information with third parties! We will not send spam! We will only send valuable information and resources! Here is your FREE sample of the Bollettieri Courses. This video is from the "Self Discovery Course" of The Bollettieri Method. Use it to start your self-discovery and remember that investing in YOU is the best investment you can make! Get The Bollettieri Method today!